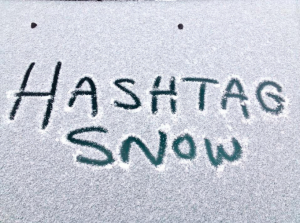 Imagine my surprise when I woke-up last week in West Texas to freezing temps and snow! Clearly, the Polar Vortex is here. 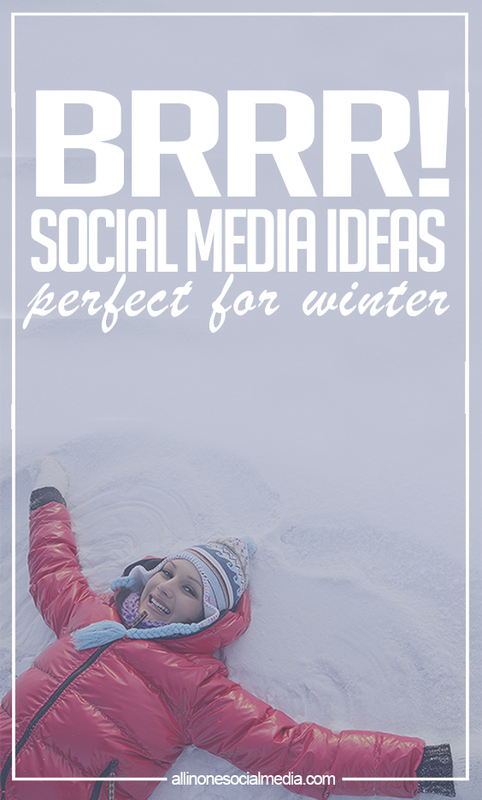 In these times when we all just want to cuddle up with our favorite hot cocoa, PJ’s, and binge watch some Netflix while we wait for mother nature to her her act together, it also a great opportunity for your brand to have a little fun with some cold weather social media content. 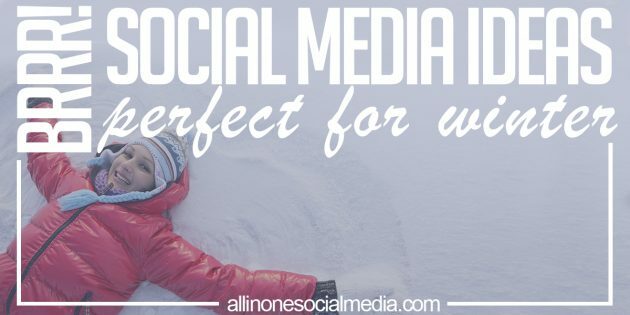 So, bundle up and make some snowtastic content for your social media channels with. 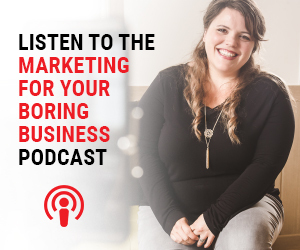 If you can make them into an infographic and a blog, it will internet money in the bank, or at least leads to your site. Let me paint a picture for you: you wake up bright and early ready to tackle the day, you grab your phone, and head to the bathroom. 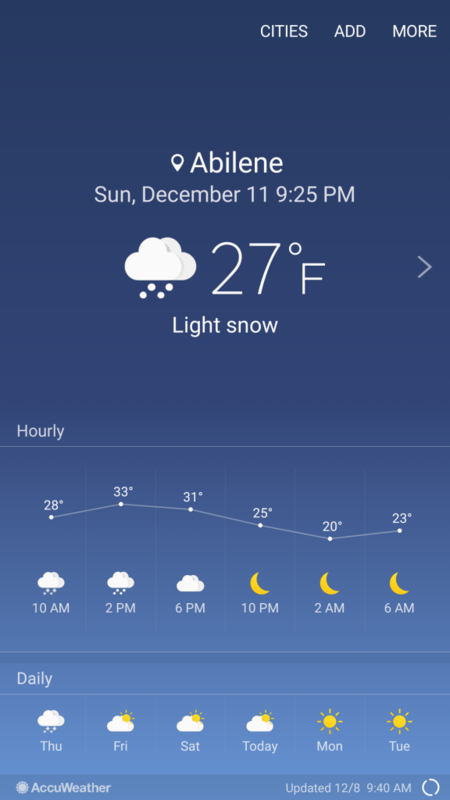 As you turn on your screen, what do you see but a weather report saying it is a whopping 20 degrees outside. What is the first thing you think about? Getting Starbucks! Exactly! As if you needed one more excuse to try their seasonal sweet witchcraft, but now the unbelievable cold is making it possible. But as we all know, if it isn’t posted on social media, it didn’t happen! 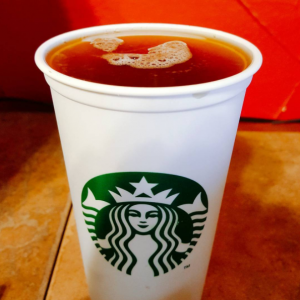 Show off your favorite cold weather drink (Starbucks or not) and ask everyone what they are drinking to stay warm today. It is simple, practical, and basically engagement gold. While I have yet to live somewhere in my adult life that has a fireplace, nothing says “wish you were here” like a picture of your feet on a coffee table with a fire-a-blazing in fireplace in the background. Sock and cold weather are like peanut butter & jelly, hot cocoa & marshmallows, gangster rap & 6am workout. 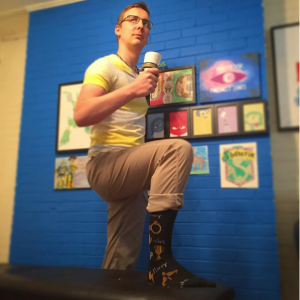 Find your cutest pair of socks (matching optional), snap, and #ShowYourSocks. Watch as people share their boring, smelly, and possible festive socks with you and the world. Oh yea, I went there. 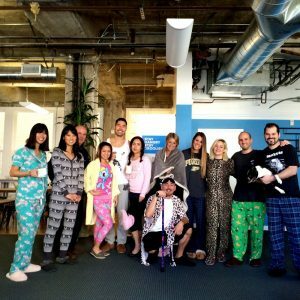 Negate the fact the team at All-In-One basically live in Pj’s & Yoga pants (#momlife #leggingsAREpants #shutupblair) you having an Office Pajama Party is nothing short of necessary. Send out a memo and take a whole bunch of pictures to share via social. Take it up a notch and have you followers share in the fun, have a contest for cutest PJ’s, and give away some free product or Starbucks Giftcards*. Anyway, PJ’s at work, make it a thing, selfies required. I spent my teen years in Colorado, so needless to say snow is a HUGE thing to those people. So, ask yourself ‘what do I love to do in the snow?” Snowboarding? Sleiding? Making snow forts for epic snowball fights with the neighborhood kids? Or are you more of a snow bunny, hanging out in the lodge, reading a good book? Playing board games? Baking? Whatever it is that you and your people enjoy, talk about it. I didn’t see snow until I was nine, so the first time I saw snow, I walked out the door said “um, yea no!” and preceded to get a vast understanding as to why bears hibernated. But along the way, I came up with my own little tradition. The first snow of the year means microwave popcorn, hot cocoa with an unhealthy amount of marshmallows, and watching Little Women. So, what are your traditions? Favorite winter movie? What gives you all the feels? This is my fav and easiest tip.